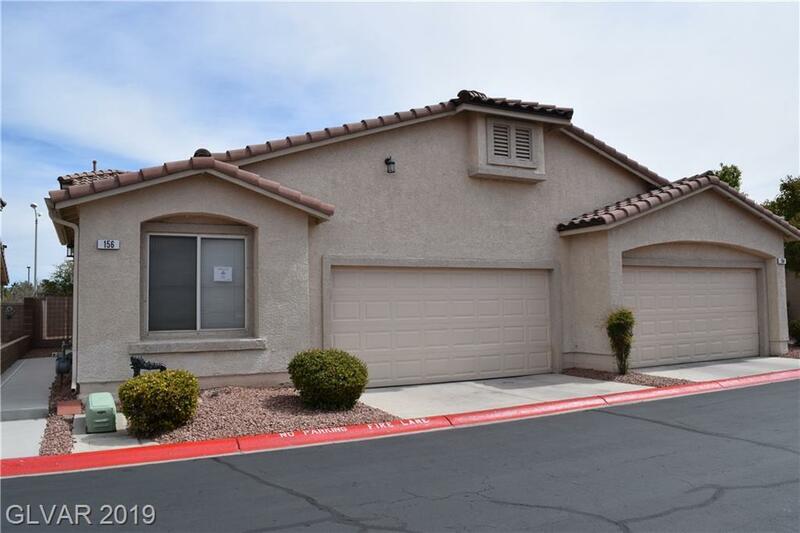 1 STORY TOWNHOME, 1385 SF WITH ATTACHED 2 CAR GARAGE, 2 BEDROOMS SEPARATE FROM EACH OTHER PLUS DINING ROOM AND LARGE GREAT ROOM. GATED COMMUNITY W/CLUBHOUSE, POOL, SPA & EXERCISE ROOM. VAULTED CEILINGS. CEILING FANS AND ALL APPLIANCES INCLUDED. COVERED PATIO AND DESERT LANDSCAPING IN REAR YARD. Directions: From Windmil & Pecos, South To Sunshadow & Tapatio Entrance. Enter Gate, Turn Left. Property Is On The Left.